Recently we were invited to participate in the Booking Across the U.S.A.event. 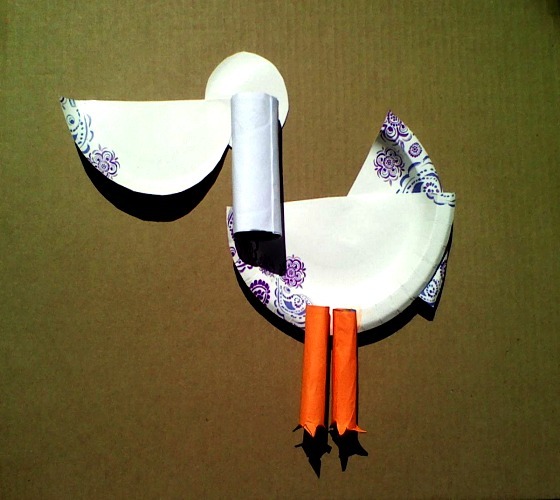 We got the beautiful state of Louisiana and when we discovered that pelicans are the state bird we were inspired to make a Pelican Plate Craft Project. First, we did a little research. We stopped by National Geographic, the San Diego Zoo and watched a video. Then we were ready to make pelicans! 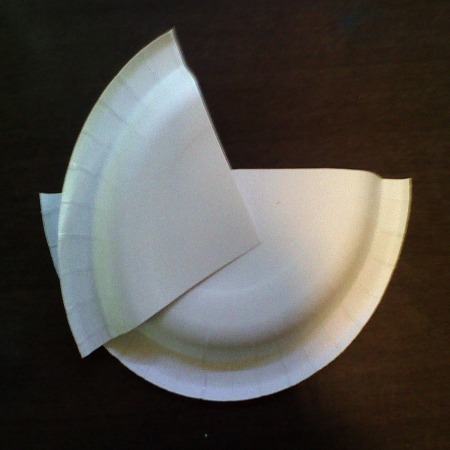 Cut one paper plate in half. Keep one half and cut the other half into quarters. Trace a line across the paper plate. 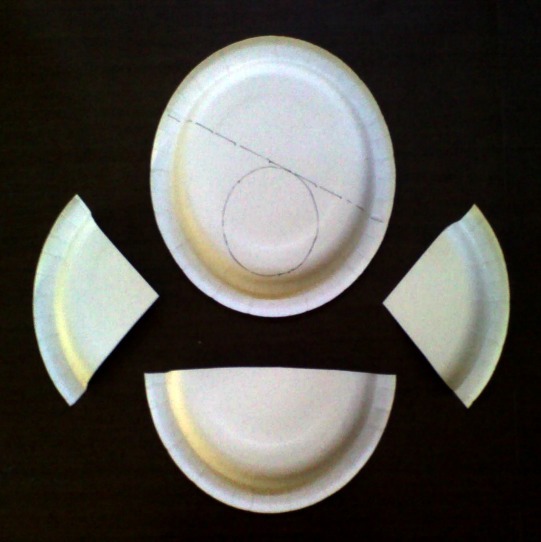 Trace a circle onto one-half of another plate. (We used a glass to trace the circle.) Cut out half-circle and circle. Cut out a 4″ x 8″ rectangle from a white piece of paper. Glue onto one of the cardboard rolls. 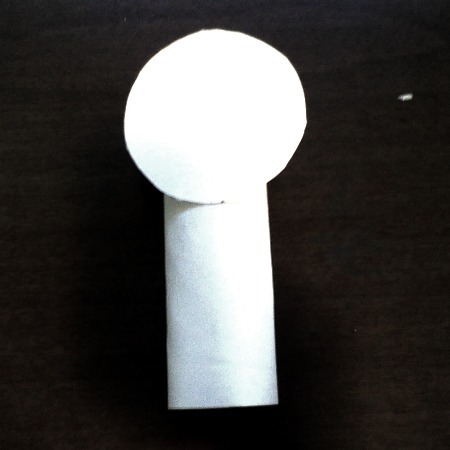 Glue the circle to the top of the cardboard roll. Now you have a head and a neck. Glue one of the quarter pieces of the paper plate onto one of the half circles. We only used one of the quarter pieces of the paper plate but use two if you want two wings. Glue the other half circle onto the head. We ended up trimming that half circle a little so it would fit better. 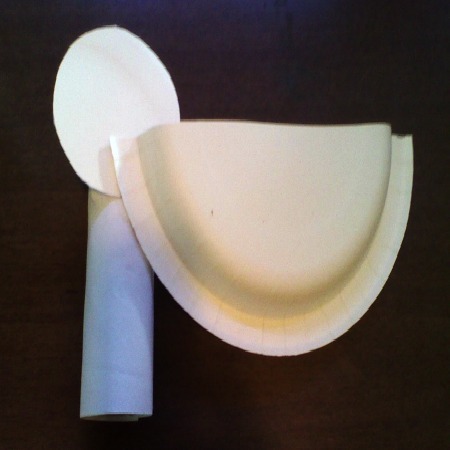 Cut another cardboard tube in half lengthwise. Tape it closed. (Do this for both halves of the cardboard tube.) Cut out 2 pieces of 4″ x 4″ orange paper. Glue onto the two smaller cardboard tubes. Draw a 1″ tall triangular pattern on the bottom of the orange tubes. Cut along the lines and fold out to make the claws. We folded 3 triangles out in the front, 1 in the back and the others we folded under so they didn’t show. Assemble the pieces upside down and glue liberally. This project is fragile while drying. If you want to move it while drying, make sure to do the final assembly on a tray or a large piece of cardboard so that it can easily be moved. Allow to dry and draw the eye on with a marker or crayon. Ta-Dah! 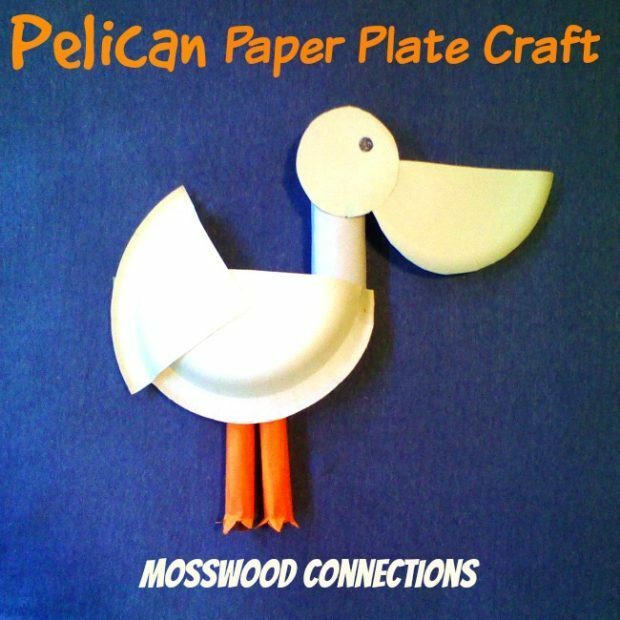 You have an adorable Pelican Paper Plate Craft. You can punch a hole through the body and thread a ribbon through the hole. Then you could have a whole flock of pelicans hanging around! A Tisket a Tasket a Woven Cloth Basket A woven basket made of recycled clothing. 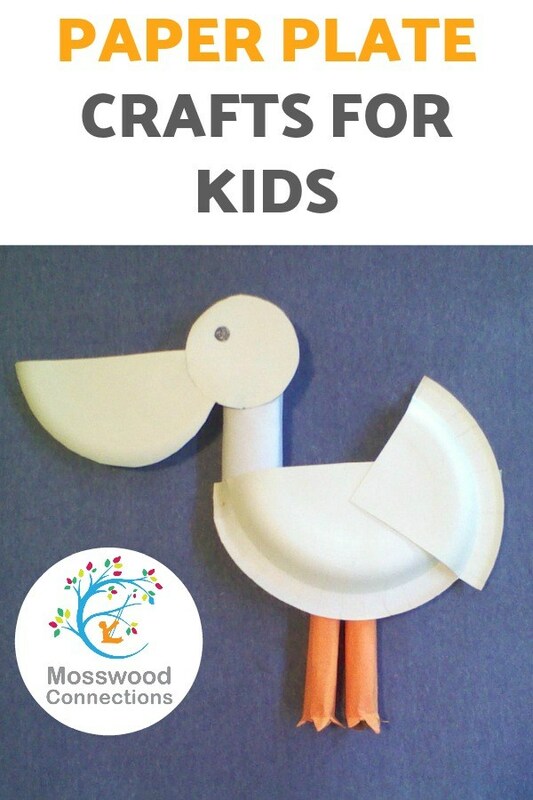 Perfect for fine motor practice and homemade gifts. Fun with Science in Art Children love to explore science in art; combining different materials, seeing how they react together to get different results. Flower Seed Packet Craft & DIY Gift Printable flower shaped seed packets with poems so the kids can learn about plant science while making a sweet gift perfect for moms, grandmas and teachers. A Bird Game and Bird Craft A craft packed with skill building: turn taking, scissor skills, shapes and more! Exploring Paint and Textures A sensory process art experience that will bring out creativity and sensory play.